Going by its title alone, The Autopsy Of Jane Doe sounds like a Faces Of Death knockoff or maybe one of those Japanese gore videos from the ’80s like the one that made Charlie Sheen call the cops because he thought he was watching a real snuff film. No such mistakes could possibly be made about Norwegian director André Øvredal’s follow-up to his breakout hit Trollhunter—not for a lack of gore, but thanks to its self-imposed stylistic restraint. Emile Hirsch and Brian Cox co-star as Austin and Tommy Tilden, a father-son coroner team tasked with performing an emergency autopsy on an unidentified woman found in a shallow grave at the scene of a murder. The assumption is that this woman, the Jane Doe of the title, was one of the victims. 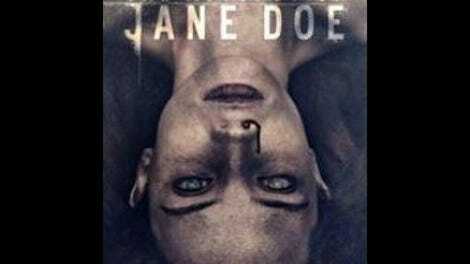 But as the Tildens crack open her chest with a giant pair of pliers and begin poking around, it becomes obvious that “Jane Doe” is no ordinary corpse. Large chunks of the film are devoted to the autopsy, with voice of experience Cox providing expository narration as he digs around; each new step provides a new clue to Doe’s true identity, playing out like a murder mystery where the clues are inside the victim’s body. The best way to describe the procedure itself is “clinical,” explicit but not exploitative, with the camera, for the most part, maintaining a professional distance from the proceedings. Halfway through, though, a storm blows in, and the lights go out, and the film takes a sudden turn into intense supernatural terror. Øvredal might not be rewriting the horror rule book in the ensuing scenes, but he’s clearly studied it closely, using the dark corners and claustrophobic spaces of the Tildens’ wood-paneled basement—which also serves as the workspace for the family business—alongside effective sound design to create a handful of moments of heart-stopping dread. (One sequence in particular recalls the elevator scene in Re-Animator, but way more intense.) Creating that sort of tension requires control, a discipline that’s also reflected in the film’s carefully composed shots, simple-yet-detailed costume and set design, and rich, stylized color palette. For all its formal rigor, however, The Autopsy Of Jane Doe could stand to think outside the box when it comes to its narrative flourishes. One minor character clearly telegraphs the time and place of their demise when they first appear early on in the film—one of several convenient narrative contrivances used to drive the plot forward. (This movie leaves no stone, or bell collar, as the case may be, unturned.) Cox and Hirsch are both accomplished actors with an easy, believable chemistry, and Cox in particular has the gravitas to really sell some of the more grotesque plot twists. Ironically enough, it’s when he’s talking about his wife’s death (which, to be clear, had nothing to do with the corpse on the table) that the movie feels most contrived.